Crumbed rubber concrete (CRC) is a promising new material on the construction scene. Created by replacing sand with rubber particles when mixing concrete, the material promises to significantly reduce certain environmental impacts, yet its structural properties are still relatively unexplored. Researchers at the University of South Australia and RMIT University are now assessing the properties of CRC in detail. Their insights could allow us to optimise the properties of CRC for uses in infrastructure, residential buildings and industry. Once rubber tyres have outlived their usefulness, they have a worryingly high chance of ending up as harmful waste. 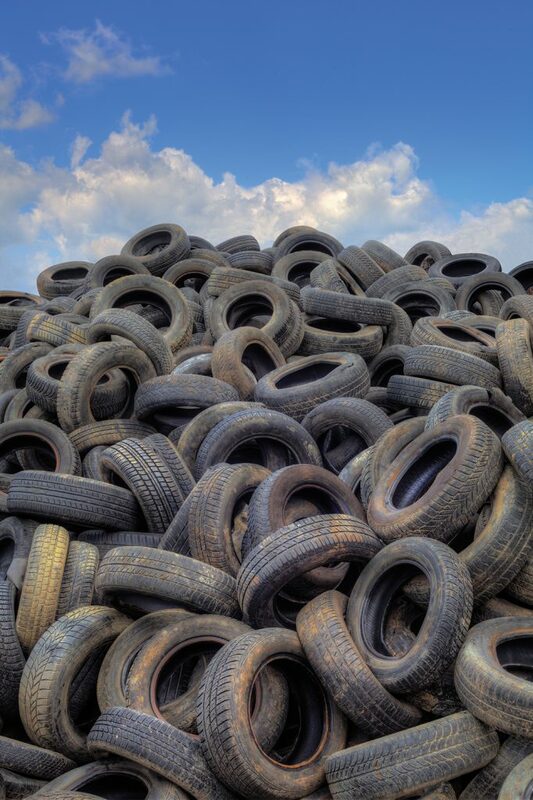 Between 2013 and 2014, just 5% of tyres were recycled in Australia. Of the remainder, 32% were exported, 16% were disposed of in licenced landfills, while a concerning 47% were either entirely unaccounted for, or dumped on unlicensed sites. With little economic need for them, worn-out tyres will often simply be left to decompose over many decades, and are sometimes even burned, releasing harmful pollutants into the atmosphere. A further, seemingly unrelated environmental issue involves extracting natural sand from the ground to create concrete. Sand is a vital component in giving concrete the necessary consistency and chemical properties, yet it is becoming increasingly depleted worldwide. As we continue to construct roads, buildings and industry at an accelerating rate, the demand for sand is forcing mining companies to cause damage to natural ecosystems, particularly in sandy habitats such as beaches and rivers. One potential solution to both of these issues could come in the form of crumbed rubber concrete (CRC). This material can be created by first grinding up end-of-life tyres into small particles with a similar consistency to sand. This ‘crumbed’ rubber can then replace a certain percentage of the sand used in the concrete mixing process – both giving the economic usefulness of tyre rubber a new lease of life while alleviating some of the demand for natural sand. However, as such a new material, the structural properties of CRC still need to be tested and modelled in detail before it can be widely used in construction. Therefore, Professors Julie Mills, Yan Zhuge, Bill Skinner and Dr Xing Ma at the University of South Australia (UniSA) and Professor Rebecca Gravina at RMIT University aim to gain a sufficiently in-depth understanding of the properties of CRC to enable its commercial use for the first time. They also plan to develop production methods that could improve the material’s functionality. Since it was first created, we have known that CRC has significantly different properties to traditional concrete. Some of these differences are positive – CRC is more resistant to tensile stress, meaning it is slightly more flexible than traditional concrete, making it able to withstand impacts more effectively. However, since there is a limited cohesion between rubber crumbs and concrete particles, CRC suffers several disadvantages in its mechanical properties, including a generally lower compressive strength and workability than traditional concrete. Initial studies into the potential usefulness of CRC focused on how the material could be used in footings and slabs. 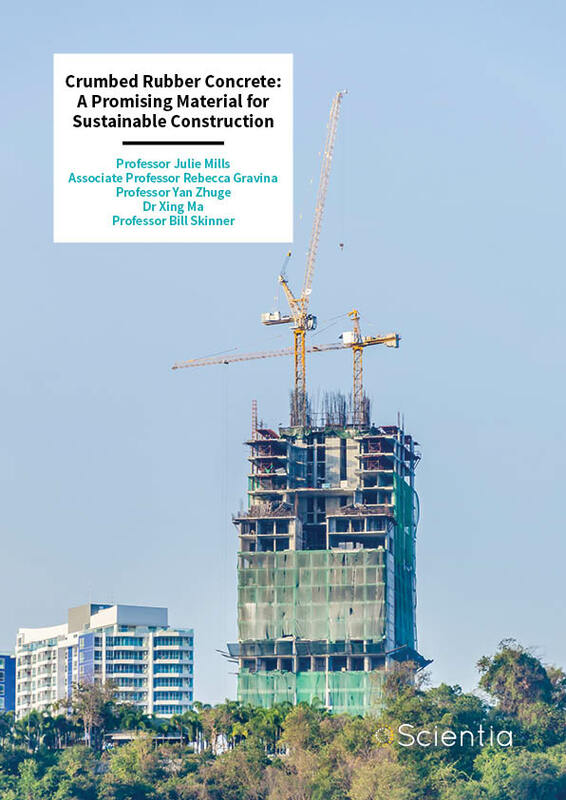 These structures are less dependent on concrete strength, yet account for around 40% of all concrete consumption in Australia, already showing promise for the practicality of CRC. However, the UniSA and RMIT University researchers believe the role of CRC may not need to be limited to structures that are less dependent on strength. In several recent studies, they have shown that a wide variety of techniques in the CRC production processes can be used to improve its structural properties. In 2016, the researchers carried out a study to determine how the strength of CRC is affected by the size and shape of the rubber particles used, as well as the amount of rubber used as a percentage of the total concrete mixture. They found that simple crumbs of rubber were indeed more effective at increasing CRC strength, as opposed to other shapes such as fibres and chips. The team also concluded that the strength of CRC varies depending on the percentage of rubber used, along with the grading of the combined sizes of rubber crumbs. However, more work would be needed to quantify the optimal percentages of these values. The team’s study highlighted several further lines of investigation that would be needed to improve CRC strength. The first of these involved investigating various techniques where rubber crumbs are pre-treated with chemicals or other treatments to improve cohesion with concrete particles. Additionally, the researchers hoped to explore the dynamic responses of CRC with different percentages of rubber, investigate how the strength of reinforced concrete would be affected by the bond between CRC and steel, and develop methods to model the properties of CRC numerically. In a 2018 study, the UniSA and RMIT University researchers investigated how strong, workable CRC can be achieved by pre-treating rubber crumbs with a wide variety of additives. This type of research had been carried out before by other groups, but the results until then had been highly variable and often contradictory. To improve the reliability of the results, the team carried out a series of new experiments, using sophisticated imaging techniques to analyse them. Firstly, they coated rubber crumb surfaces with chemicals including sodium chloride, sulfuric acid and potassium permanganate, and also tried soaking them in tap water as well as heating them in ovens before mixing. After treatment, the crumbs were analysed using two specialised techniques. The first of these was x-ray photoelectron spectroscopy, which allowed the researchers to accurately measure the chemical composition of the rubber crumb surfaces. Secondly, they used a scanning electron microscope, which enabled them to directly image the crumb surfaces to the precision of single atoms. Using these imaging techniques, the researchers could assess the effects of pre-treatment on a molecular scale, providing detailed insights into how much CRC workability and strength were improved by each treatment method. Remarkably, the team showed that pre-treating the rubber crumbs with water was more effective than any other chemical in maximising the workability of CRC. They also found that this treatment is more effective when the treatment time is longer. 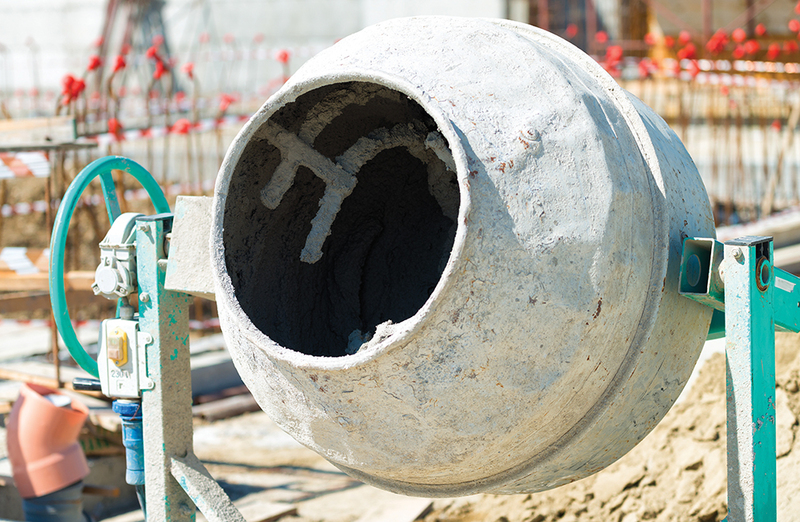 In addition, the compressive strength of the material could be increased by up to 3% simply by mixing the crumbs with dry cement before mixing them into concrete. In a further study, the UniSA and RMIT University researchers tested the relationship between the stress and the strain of different compositions of CRC when different percentages of sand were replaced with rubber. In solids, mechanical stress describes the forces that particles inside the material exert on each other when the solid is compressed or carrying a load. Strain describes how much the solid extends while under pressure. By measuring the stress-strain relationship of a material, physicists can reveal its ‘elastic modulus’ – a quantity describing a solid’s resistance to being deformed. In addition, the ‘toughness index’ of a material quantifies how effectively it can absorb energy from impacts. For three different percentages of rubber mixed into CRC, the research team quantified the elastic modulus and toughness index, along with a mathematical description of the mechanical response of each material. The team discovered that crumbed rubber generally decreases the compressive strength and elastic modulus of concrete. However, they also showed that CRC has a higher toughness index – when 18% of the material was composed of rubber crumbs, it became 11.8% tougher than traditional concrete. Using this data, the researchers developed several formulae to predict how the stress-strain relationship and elastic modulus of CRC will change with varying percentages of rubber. They also constructed numerical models to predict this behaviour, which consistently agreed with their experimental results. In their latest study, the team investigated the characteristics of the bond between CRC and steel profiled sheets. This bond is particularly important for structural applications in reinforced concrete, where the strength of concrete is greatly improved by networks of steel embedded in tensile regions. 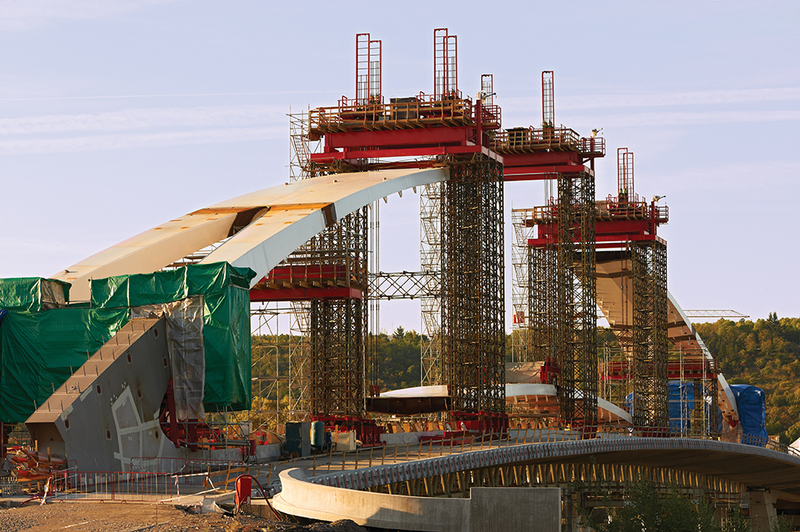 In small-scale tests, the researchers investigated the strength of the CRC-steel bond, noting that CRC had a similar performance to conventional concrete when bonding to steel. The difference in bond strength between the two materials was less than 4%. Their results confirm that CRC could indeed become a viable application for creating reinforced concrete slabs. 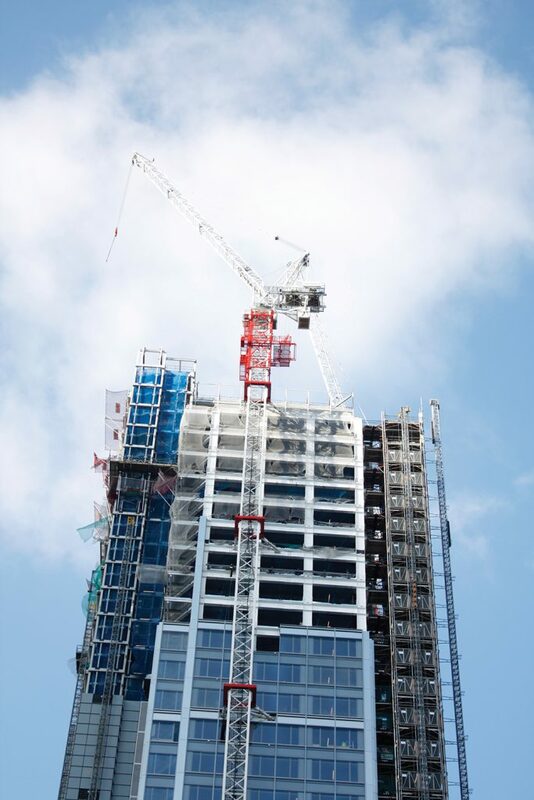 Through the work of the UniSA and RMIT University researchers, CRC now shows a promising potential, particularly for use in reinforced concrete. Using the team’s insights to optimise the properties of CRC, it could allow for structures that can withstand impacts including bullets and debris in strong winds. Furthermore, the improved dynamic response of CRC could make structures able to better withstand events including earthquakes, machinery vibration and human-induced vibration, making it an ideal material for constructing infrastructure, industry, and commercial and residential buildings. In further research, the team plans to improve their numerical models to consider the technique of ‘finite element analysis’, which involves breaking down materials into small elements in a simulation. For any action applied to the material, the dynamics of each element is calculated individually, before the elements are integrated together, allowing the simulation to predict the dynamics of the material as a whole. Such improved models will allow the mechanical properties of CRC to be further optimised for commercial applications. With these improvements, an increased use of CRC in global construction shows promises to reduce the significant environmental impacts caused both from waste tyres and the exploitation of natural resources. 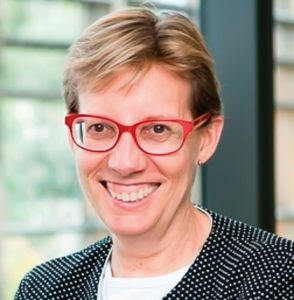 Professor Julie Mills is Professor of Engineering Education, and Head of the School of Natural and Built Environments at the University of South Australia. Her diverse research interests include engineering education, gender studies and structural engineering. Professor Mills’ current structural engineering research is focused on the use of recycled materials as partial aggregate replacement in concrete. She has authored numerous journal publications and co-authored two books. Associate Professor Rebecca Gravina is a Civil and Structural Engineer with 20 years of experience in academia and consulting engineering. Her current position is as Associate Professor in Civil Engineering at RMIT University, Melbourne. 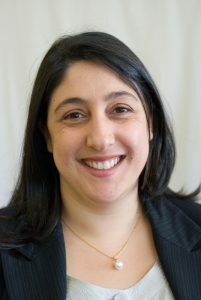 Professor Gravina received her PhD from the University of Adelaide and is now an established researcher with expertise in structural materials. She is also the Editor in Chief of the Australian Journal of Civil Engineering, and co-author of the book Prestressed Concrete. Professor Yan Zhuge is a Professor in Structural Engineering, and has lectured in several Australian universities for more than 20 years. She has a PhD in Structural Engineering from Queensland University of Technology. Her main research interests include green construction materials, and sustainable concrete materials. Professor Zhuge has won several Australian and Queensland government awards. She is an executive committee member of the Concrete Institute of Australia. 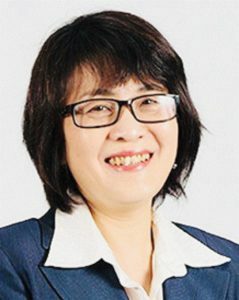 Dr Xing Ma has been involved in teaching and research in civil engineering for more than 15 years. He was a lecturer at Tongji University in China after he finished his PhD studies there in 2000, and was promoted to Associate Professor in 2004. 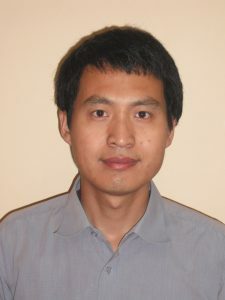 Dr Ma joined the University of South Australia in 2010. His research is focused on composite structures and transmission tower structures. 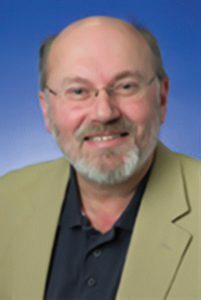 Professor Bill Skinner has spent over 30 years in surface science research, with 24 years in minerals processing. Since 1992, he has worked on physical and chemical processes at surfaces and interfaces at the University of South Australia. In particular, his research focuses on mineral and material surface chemistry together with forensics, environmental science and biomaterials.